The current amount of activated DNA within you is the same as the level of your conscious awareness. To shift the consciousness, means to activate the DNA. To activate the DNA is through the expansion of consciousness through changing perception. It is not so much of a mystery anymore. We are spirits having a human experience. For spiritual essence to materialize here on Earth, it is utilizing a series of coded sequences to form a body. As a spirit, we physicalize ourselves, first, in the cell nucleus as DNA. We are merely a programmed expression. Our human consciousness is DNA; our DNA is our human consciousness. It is one and the same. The current amount of activated DNA within you is the same as the level of your conscious awareness. To shift the consciousness, means to activate the DNA. To activate the DNA is through the expansion of consciousness through changing perception. It is not so much of a mystery anymore. Scientists have identified two active DNA strands in the majority of people and a third in some of the new children being born who are reportedly ‘magnetically lighter’. Some reports are also coming in that many adults are actually forming new helix strands. There is much talk these days in spiritual circles about how many more strands we are getting as we advance into a new type of superhuman blueprint. In this course of study, we are not focusing on ‘numbers of strands’, rather, on the potency of what we have right now, which is enough to catapult us into a much more expanded framework of awareness. This entire program of Morphogenesis is designed to help you connect to more of who you, thereby crystallizing the vibrational templates of higher evolution. This will assist the body to build stronger neurological circuitry with ability to translate higher dimensional etheric energy into physical expression. Another way to say this is, that ‘DNA Activation’ helps you to actualize more of the Greater Self into the physical form. You are advancing into a pristine attunement with all different levels of dimensionality… of yourself! This is done by consciously tapping into the templates that will allow the DNA strands that exist physically within you, to become more fully aligned. What prevents us from tapping into this level of peak alignment is that our current makeup has been suppressed. This stifling is a result of how we define life, the choices we make, the belief systems and all of the limitations that we impose upon ourselves, the biggest one being fear. 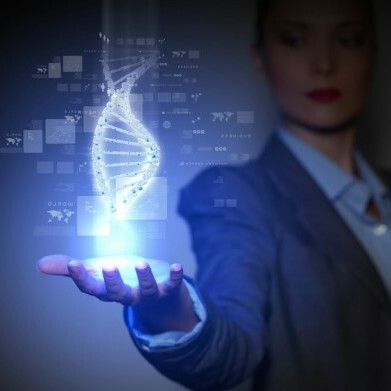 In the program of Morphogenesis, we are offering DNA Activation Sessions. The purpose of these sessions is help bring you into harmonic attunement so that your physical reality can become less rigid, less structured, more elastic. Then, new perceptions can take hold. This is an excerpt from the MORPHOGENESIS: Opening the Crystalline Seals into Avatar Consciousness. Complimentary enrollment with more than 60 podcast episodes.